There were balloons…hundreds of them! There were costumes…all kinds and all colours all mixed together! There was lots of loud and lots of laughs! And a dance floor filled with EVERYONE: toddlers, kids, teens, young adults, and….adult-adults. One big mix of happy! When it was over…it wasn’t over. If there was music, there was dancing, even while the clean-up was well under way! Sometimes you just can’t stop having fun. This is the Goofball, but there is more! It’s the more you need to know to understand why we would even host this event. The Goofball is a complete goofy, fun-filled celebration of childhood, but it has a serious vision. The Goofball exists to create space for joy and to affirm each child’s GOD-given identity. This year the main point was to not live under the pressure of a label. From the stage, on-screen and around the tables the message was that each person is unique — they can be themselves and let other people be who they are! We don’t need to give in to pressure to be something else or do what everyone else does. You can enjoy a whole variety of things, and that just makes you interesting! Kids were challenged to listen to the voices of people who truly love them and have their best-interest at heart and put negative influences waaaaaaaay in the back row of their lives. After the food (including Nikki’s hilarious cupcakes), the games, the pep-talks, the prizes…all that was left was dancing, and did everyone dance!! So much freedom and happiness, fuelled on pure fun…is there anything better then that? The next day I was still grinning, thinking of all the spontaneous, crazy, goofy, lovely things that happened all evening. Yay SunRidge, I love your attitude! Thanks for getting behind the fun. A little about what’s behind the Goofball (happening this Saturday). Just over a year ago, Holly and I were out having coffee together, talking about Out of School Care (OOSC) and all the kids. There is always lots to laugh about when it comes to our OOSC kids but there is a lot of heaviness too. It was this heaviness that we settled on a bit and talked about how, at younger ages it seems, children are becoming so self-conscious. At a younger age children are giving up child-like things. At a younger age the conversations they are having are less and less care-free and innocent. What ever happened to loving being a kid? We talked about our own memories of being awkward and nerdy and all the things we loved to do that don’t seem to be a part of many children’s day-to-day now. We talked about how it should be, how kids should just have the chance to be goofy, to explore lots of different kinds of play, to be creative, to make-believe, and to be who they are and not be so image-aware. Out of this came the idea of an evening to just celebrate childhood and to affirm childhood. Conversations rabbit-trail…we also talked about why you have to wait until a wedding to just have a good fun dance-party with your friends. What if we could bring those two ideas together? And out of this was born the idea of the Goofball. Jesus celebrated children. He also poked at adults who had lost the ability to remember the spirit of childhood. It’s a good thing to lift childhood up and say, “hurray!” So that is what we are doing on Saturday — just throwing away our more conservative tendencies and having fun with a pile of kids! Do you still know the joy of childhood? Our students and student ministry leaders do. 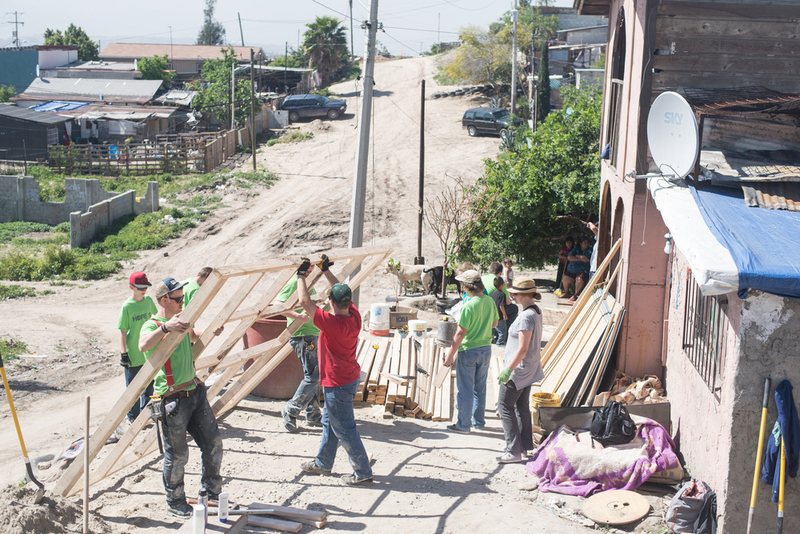 They all just came back from the Mexico House Building trip and it is something that is saturated in play. Oh the stories! When they share about their trip, DON’T MISS IT, because it will do you good! Small groups are a great place to practice play too. We take time off to do things just for fun. This week our group celebrated a birthday with loads of food and laughs (maybe a little prank thrown in) and great conversation. We had not one but three kinds of pie just because we could (or, more accurately, because Marcella could) . One was even baked with a great big smile carved into the crust. Come on Saturday and leave your “adult” at home. Come and appreciate jumping around and noise and not being self-conscious. Come and appreciate the wonder and wealth of childhood and celebrate all their goofiness just the way GOD made them. Every year the students start their Mexico mornings doing devotions and in the evening they have a discussion about the topic. I have had the privilege of writing these for the past few years and this year I decided to grab a few students to join me. The reason I chose these two girls was the interest they expressed after I spoke on prayer one evening at a Youth event. They were so encouraging and inquisitive, and that got me thinking: next time, I will invite them to help. Who are we writing for? Let’s think about who will be on the team. What do we need to be mindful of? Who is our audience? Our topic for the devotions was “Hearing GOD” so we spent quite a bit of time talking about our own questions about hearing GOD. We jotted these down. We talked about some of the fun and creative aspects we could include in the evening — as usual, some ideas are hilarious but never make it into the plan. Other ideas are hilarious and they do make it! Brainstorming: ideas spark ideas. Both Martine and Grace had such interesting perspectives, feedback and ideas. They had a good pulse on what works and what doesn’t. They were so honest about their own lives too. The next step was to meet after the rough draft was put together. We met on another Friday and walked through the details. Again, both girls had lots of valuable things to say and brought their personality to the table to shape what has been sent along with the team! This was a first step in learning how to prepare something like this. I was thrilled to have the opportunity and my heart was filled once again by how the Lord works in the hearts of the young. The Spirit of GOD can make them wiser than their teachers (I am counting on this!) and can call them to such deep things so early on. This is just a reminder to love and encourage and NOTICE the children and youth. It really matters that they feel a part of this family — and the way we do that is through kindness, encouragement, relationship and making ourselves available to them. Really, it is doing what Mike has called us to do — to B.L.E.S.S. Don’t be afraid to include them in what you are up to…it is the way they will learn and, it is the way we will learn too! Tagged: Mexico 2019, devotions, love Jesus, sunridge community church, S.O.A.P. Recently Jon Batisarisari and Don Greer flew to Malawi to see what GOD is doing through an amazing YWAM initiative there. Jon’s parents — Villi & Judy — are missionaries there, so Jon and Don had a great couple of weeks visiting and tagging along with them wherever they went. When they got back, our Small Group invited Jon’s small group over and our two groups got to hear their report while it was still fresh! Jon showed a great video, showing us the new church building and the Sunday school facility in Buli Village. What is extra exciting is that Don was a part of seeing the Sunday School building come to reality, so he got to witness the Grand Opening and tour the facility with a lot of excited church members and kids! At the grand opening there were around 150 adults and around 60 kids. In the crowd were 17 chiefs from neighbouring villages. It was a big deal! Notable, on the edge of the church property is a Witchcraft Hospital. What a perfect place for a church to sit. Pray for them and their ministry in a dark and broken community with unique challenges! Jon and Don got to see many of the orphanages and crisis centers that Judy and Villi minister at. At one of the homes their role is just to hold babies. This sounds so simple, yet babies die if they are not held, so this simple act of love is saving lives and extending care to the most vulnerable! They also got to see the beginning stages of Villi & Judy’s co-worker, Delia’s, dream. She has been working in the area for over 10 years and she is trying to establish a crisis center for girls in trouble. This will require a financial input she does not have, yet she is determined to see this happen. There are girls who get pregnant and have nowhere to go, or experience other kinds of abuse and trouble. 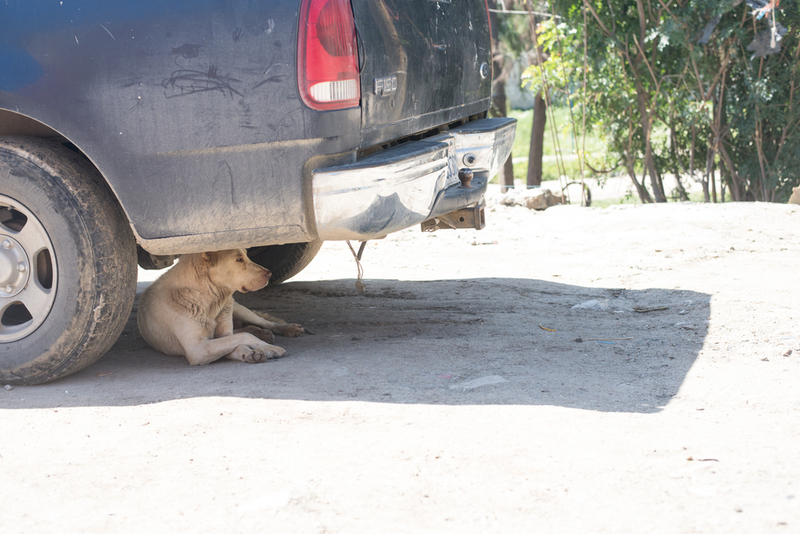 If they have a place to go, they can have a second chance at life! While there, Jon got the chance to preach and help with communion and Don shared his testimony as well — in front of those 17 chiefs, what an honour! The church in Buli is full of passion; just like us they are learning what it means to be disciples of Christ — not always getting it right! Sometimes the pastor has had some training but not a lot of training and there can be some need for correction in doctrine and practice, to really understand the heart of the Gospel. When this ministry comes to mind, please pray for there to be wisdom and understanding and that the church would be led by the Spirit of GOD into all truth! Don and Jon described the church as full of celebration! Long services with lots of singing and dancing, lots of improvisation, lots of prayer. Isn’t that the truth about these things? When you know GOD has allowed you to participate in something greater than yourself, the blessing turns around and blesses us more than we could have asked or imagined. Thank you Don and Jon for sharing your stories with us. It was encouraging and challenging! May SunRidge be filled with people who are “living mission” locally and globally! This past Sunday our Mexico Team students made coffee for “half time” once again to help raise money for the house building project coming this Spring Break. This time, there was a special feature. If you weren’t there on Sunday you missed a pretty hilarious and heartwarming announcement by Kyle, our Youth Pastor about the “eats” being offered along with coffee. Last year, Garnet (pictured on the right) made a name for himself in Mexico for his passion for Churros! He ate buckets of Churros. I decided to try this week’s so I would have something to compare next week’s to. They may not have looked quite right, but they actually weren’t bad. They tasted like a doughnut. That there is a story to tell of two young men who had an idea and tried it out. How many times do I talk about trying something but don’t? When it didn’t have the intended results, they brought them anyway. They weren’t perfect, but they weren’t a total fail either. Gotta have some pride in that. How many times do I think what I offer has to be perfect. How many times do I judge myself too harshly or stress over things having to be “just so”? The joy and humour with which they offered their smallish, brownish Churros. It made me happy just talking to them about it. Sometimes its just good to joke around. Isn’t a good laugh, an amusement, a funny moment worth so much? Their effort and their intentions and the heart behind it. This is what counts isn’t it? It is better to have tried and failed then to have not tried at all. How many times do I not even step into the ring? I say A+ for effort and for bringing the fun. Full marks for DOING SOMETHING and being a contributor and having the attitude of a difference maker. Here and on the field, these guys have set an example. Can’t we learn a lot from these students? I love this generation. I have so much hope for them! If you haven’t had a chance to bless the troupe, don’t miss the opportunity! Hi-Ho, Hi-Ho To Mexico We Go! If you aren’t already feeling the energy, you will starting this Sunday! Student Ministries is preparing for another Mexico outreach and their first Coffee Fundraiser is on for this Sunday! SunRidge loves getting behind this great endeavour and we are already looking forward to seeing the blessings pour out on our young people. 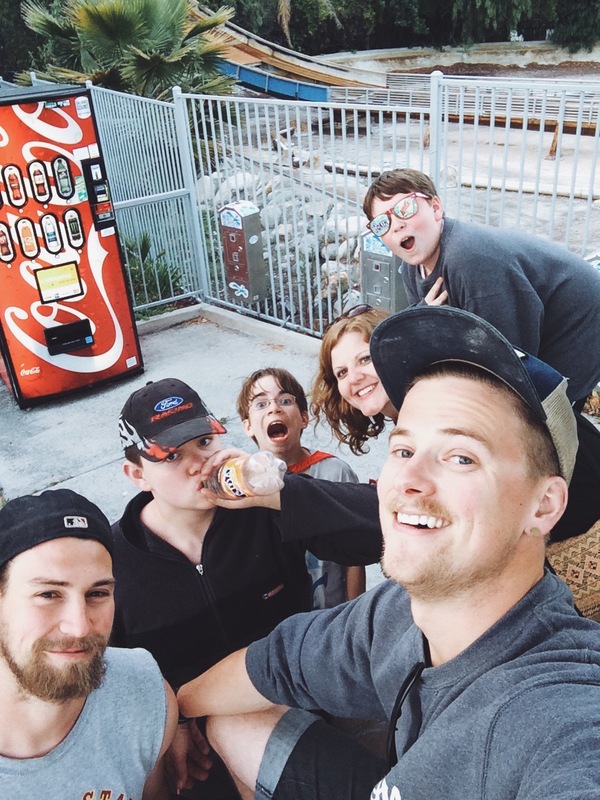 Our Youth Pastor Kyle and the students have already done a good job hyping the event, but in case you have missed the on-stage updates and videos, I thought it might be interesting for our blog-followers to read a bit about the story of Amor. Amor Ministries is the US-side ministry we have connected with for over 15 years. We love them! We love what they do! Catch the vibe yourself by reading up on them. You can go straight to their website, or read what I have cut and paste here! More than thirty years ago, Gayla Cooper felt reluctant to spend even one day ministering to children in a Tijuana orphanage. 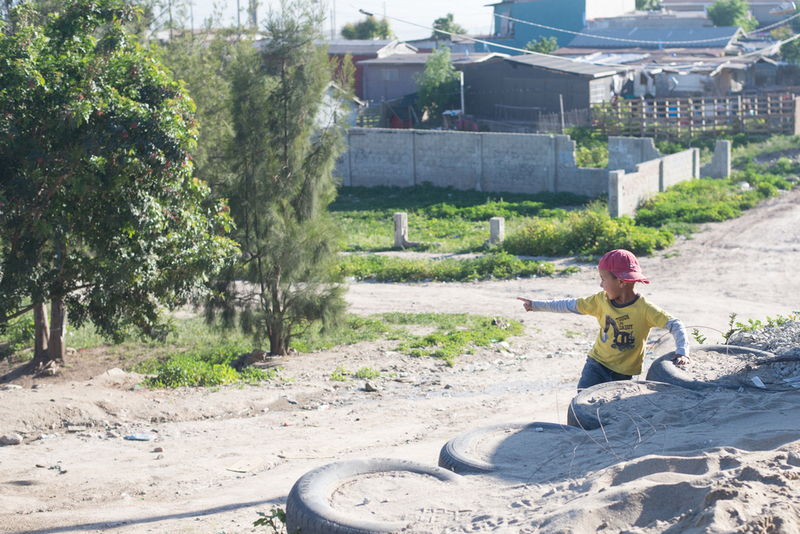 However, after meeting a group of children from a Mexican orphanage, Gayla's heart was touched so deeply that she decided to pack her bags and move to Mexico to work in the orphanage full-time. Meanwhile, Scott Congdon traveled to the very same orphanage with a community service group from his college. 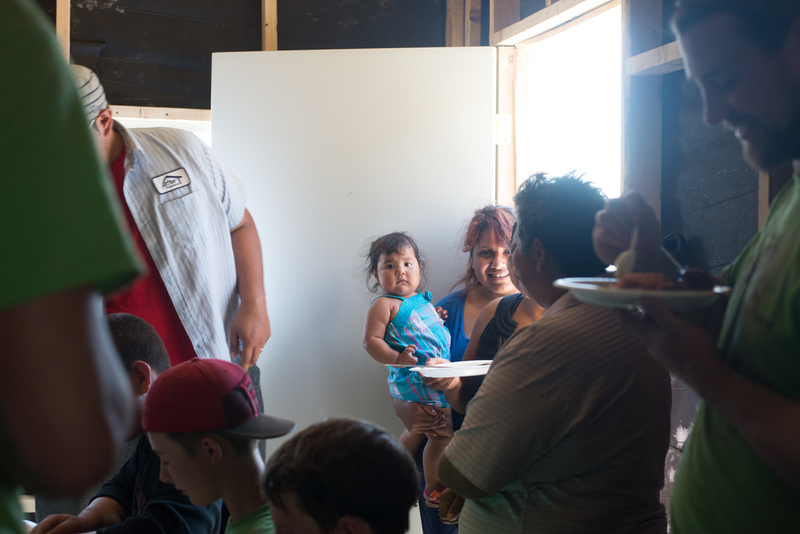 The children had such a profound impact on Scott, that when he returned home, he began collecting food and clothing for the children, returning to deliver the collected items. 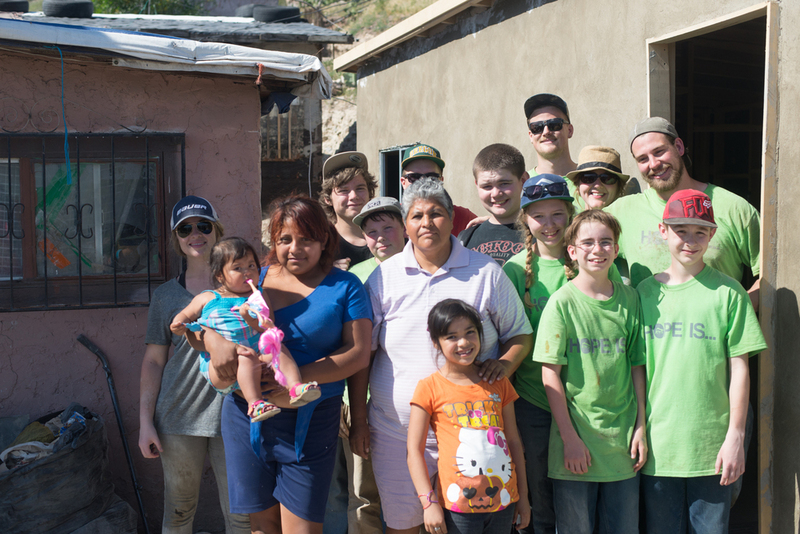 Together, Scott and Gayla soon discovered that they shared the same dream of ministering alongside the poor in Mexico. In March of 1980, Scott and Gayla founded Amor Ministries. 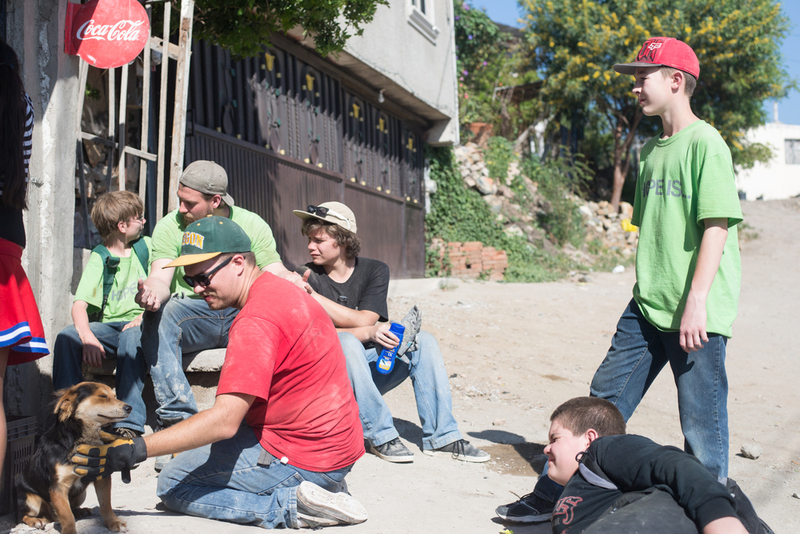 That fall, they recruited their first ministry group to participate in a building project at a Tecate orphanage. 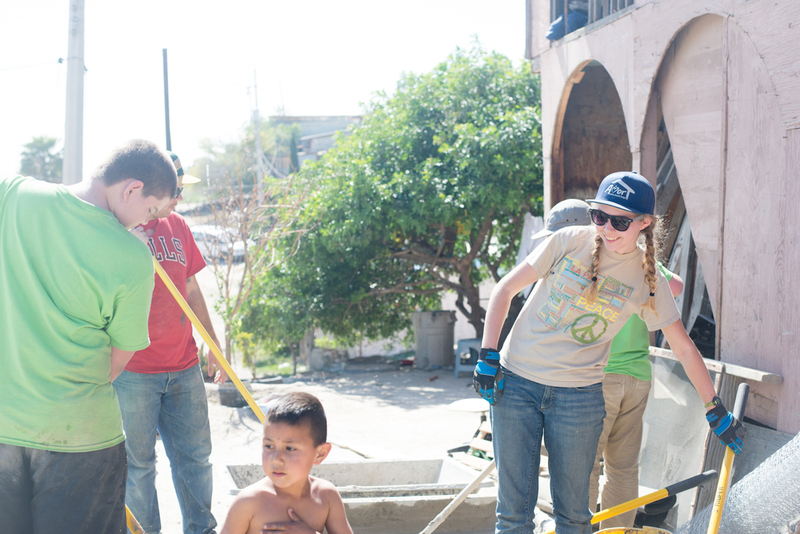 One year later, Scott and Gayla were married and four more missions teams traveled to Mexico with Amor. 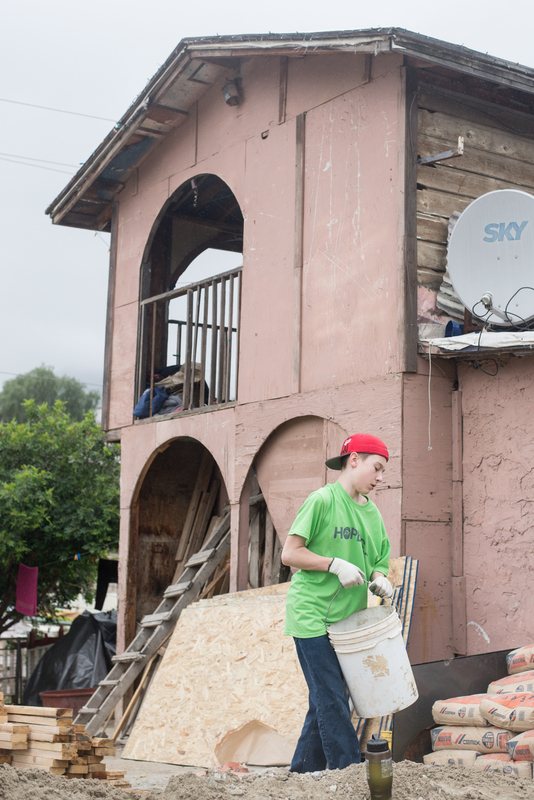 The Ministry continues to live out the Congdon’s initial calling and provides homes for families each day. 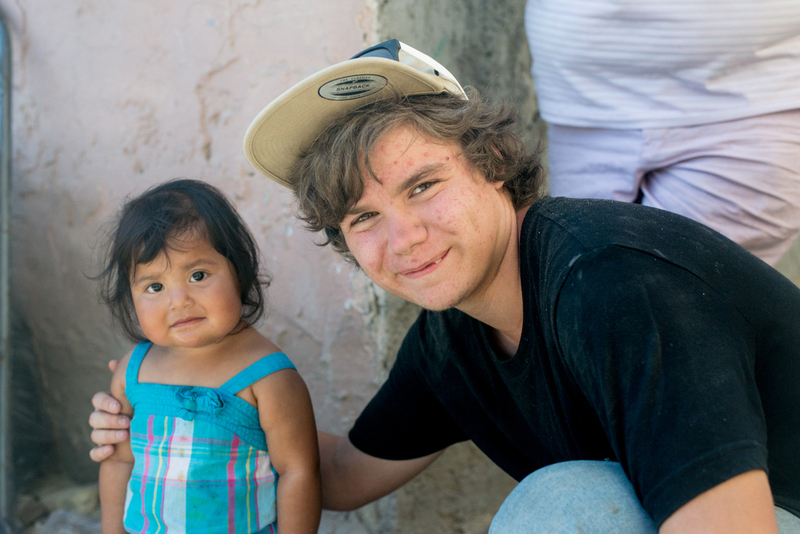 Today, more than 300 missions groups take part each year in short-term Mission Trips with Amor Ministries! Each of those trips is part of the bigger mission of the local communities. Scott and Gayla, along with the full-time Amor Team, carry out their commitment and passion for helping the poorest of the poor in Mexico, South Africa, and, increasingly, other locations around the world. They mobilize volunteers and work with local churches to respond to the physical and spiritual poverty throughout the world. Having inadequate shelter provides stress for a family that can lead to separation with individuals looking for work in other cities. Inadequate shelter can also cause parents to decide they cannot care for their children which could lead to institutionalization of the children, children being sent to live with friends or family members creating separation of parents and children, or outright abandonment. A home keeps a family together and a job that provides a living wage allows a family to care for itself. Having a cement floor and shelter that protects a family from the elements dramatically increases their health. Kids are more likely to attend school when they aren't sick, and with the solid foundation of a concrete floor they aren't as sick as often. 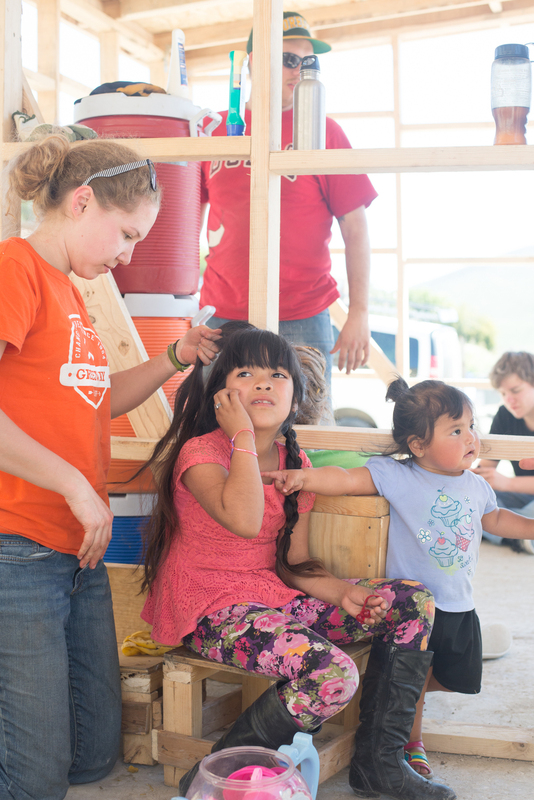 A home helps children get education that could break the cycle of poverty. Human trafficking, in many parts of the world, is a migration problem. When people are separated from their community because of their need for work, they are vulnerable to traffickers. A home allows a family to stay intact. For more information of how a simple home benefits the family and community, click here. 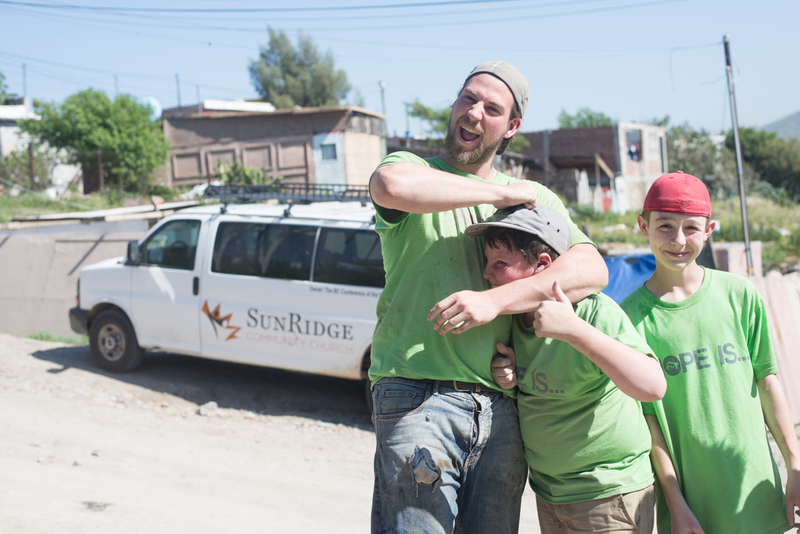 Check out SunRidge’s Mexico Trip page and get involved by helping them get ready (they can always use an extra hand), by supporting them through prayer, by getting behind them financially, and by encouraging them personally. Let’s love and invest in the next generation and high-five them for serving Jesus beyond our borders and their comfort zones. It is a real stretch for most of them, so let’s go out of our way to fill them up in anyway we can, the way a family does! In case you didn’t know, SunRidge partners with Westbank United Church to come alongside in serving lunches to those who need them in our West Kelowna community. And who needs lunch? There are those who have experienced a turn in life that has left them homeless. There are those who have lost their job and a lunch here and there brings relief to the budget. There are seniors who might not be cooking a hearty meal for themselves. There are young people who are sorting things out and some warm food and some warm words are helpful. There are a lot of different kinds of people who come to a hot meal (three times a week) and sandwiches on the off days. This week we were short-handed on Monday and it highlighted again how many people it requires to keep this work going. So today I am highlighting people who “step in.” I know there are many who do — lots of faithful behind-the-scenes servants who help with no fanfare. There are people who send lovely home baking — the guests LOVE the home baking. There are people who go around finding donations, people who serve once and twice and three times a week. There are people who buy last minute groceries, people who wash dish after dish, people who give hugs, people who cut onions and…there is one beloved person who even comes to tenderly cut and style people’s hair. If you would like to get involved in this practical, love-your-city, mission email our rep Randy at lunchprogram@sunridge.org or contact us here. There are on-site opportunities and other things you can do if you can’t do that! We also have a grocery list at the Connect Centre. Pick one up and add a few things to your list each week. You can drop off at SunRidge or at the United Church. How did our shorthanded Monday go? Thanks to Mark P., Kim R., and Lindsay W. and some others from outside SunRidge who all “stepped in”…we got’er done! Go team go! Why is Mark wearing oven mitts while stirring Coleslaw? Another amazing year! The 2017 trip was so full of laughter, good challenge and unexpected blessings. Check out our photos and video below for a glimpse into the adventure. We departed from Sunridge! We made it to Washington for lunch and had Subway at a weird grocery store. We continued to drive through the night! We hit some bad winds at 3:30AM and decided to pull over at a rest stop. We all slept soundly for 3 hours and then hit the road after a quick reenforcing of the roof rack after the crazy winds! A full day of driving commenced until we arrived at North Coast Church in LA at about 830PM! We also obviously made stops at every in n out burger we could! The church was so awesome and we set up our beds in the youth building and hit the hay!...eventually. We woke up and cleaned up the youth building and had a wonderful breakfast that some students from North Coast made for us! It was wonderful! After attending the service, we grabbed lunch at...In n out burger! We then headed to the Amor office and crossed into Mexico. We got to the campsite and set up our tents and got everything ready for the week ahead. We had a wonderful dinner that was made for us by some ladies from La Cocina which is the food program that Amor has set up with local churches from the community! CONCRETE. Lots of it! We had a great breakfast at camp, did some devos and then drove to the site and met the family and began working on pouring the slab for the the house! It wasn't too hot on the first day which was perfect because cement day is a tough day! After a long day, with the slab now poured we headed back to camp. Cold showers, great food, and wonderful times around the campfire! FRAMING. Nails, nails and more nails! It was all hands on deck as we cut lumber for walls and nailed everything together! It was a hot day! Amazingly, just up the road we discovered a small store that sold...Coca Cola in the glass bottles! What a refreshing wonderful experience! It became a daily stop at the end of every work day. With all of the walls framed and put in place, we called it a day. MORE FRAMING AND EXTERIOR WORK. We got the roof on the house and wrapped the house in bailing wire which is the foundation for supporting the two layers of stucco that would eventually get put on the walls. Everyone was working very hard and it was on this day that Thomas successfully fell asleep standing up! We were also beginning to make lots of friends in the community along with a couple of puppies that we decided to name after different condiments. EXTERIOR WORK AND FIRST COAT OF STUCCO. We then had to wrap the house in paper and then stretch chicken wire over it. Once that was done, it was time for stucco! It was all hands on deck to get it on. We also saw a snake! It was really big and the family was very quick to kill it. COOL! We worked with a wonderful Amor staff last year named Louis and it was on this day that he came back and helped us with the house! More Coca Cola was inhaled and we went back to camp. FINAL STUCCO AND CLEAN UP! It was the last day we had to work on the house and we started off the morning by heading to Wal-mart and buying a broom, a welcome mat, some toys and a soccer ball for the family. We got to the house and worked hard on the stucco! The family then made us a wonderful chicken and rice meal. It was SO GOOD! It was also very touching as the meal cost them their whole weeks worth of wages. With the house finished, we had one last Coca-Cola, a very beautiful dedication and farewell with the family. We drove back to camp for the last time. We woke up early and began taking down the campsite! We had breakfast one last time with La Cocina and then put the finishing touches on packing up and headed for the border. The crossing went so smoothly and so quickly that we grabbed in n out and headed to Coronado beach in San Diego! We had a ton of fun playing in the ocean and relaxing in the sand. We then headed back to North Coast Church. 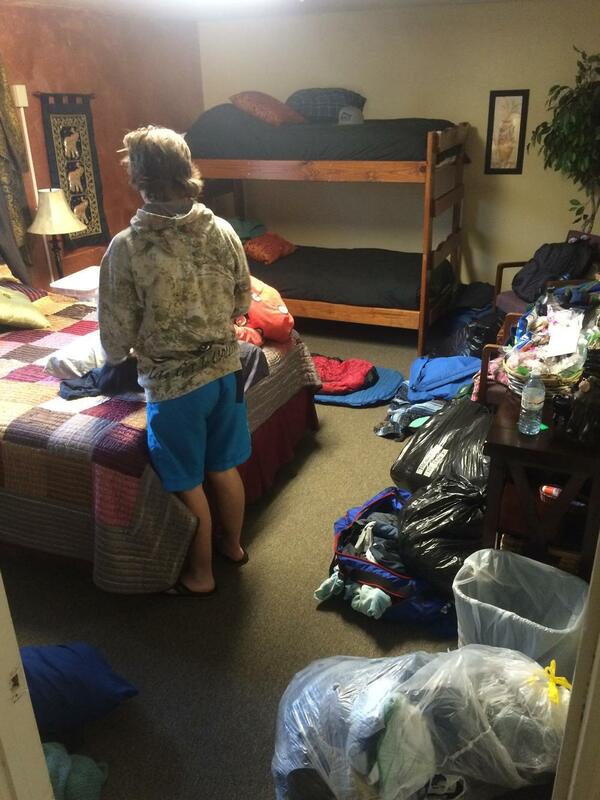 We attended the evening service and set up our beds once again in the youth building. Corey and Josh got some nice sunburns. 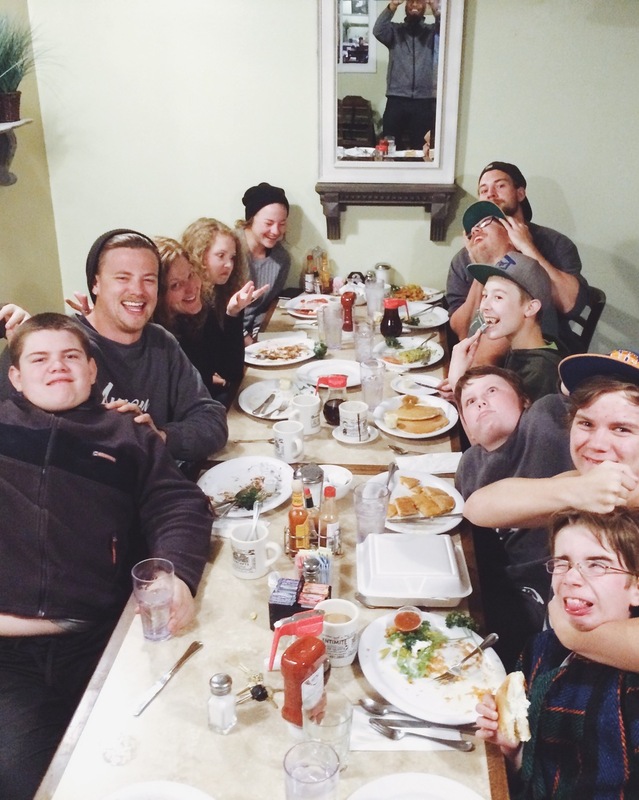 In the morning the youth pastor at North Coast, Chris, took us all out to a wonderful diner for breakfast! It was so good and Chris was so kind to us. We then loaded up and dropped Alecia off at the Los Angeles Airport because she had to get back for work and school. After that, we went to six flags amusement park! Despite the long lines, everyone had an awesome time and Erin even did the drop of doom! We had one last in n out burger and drove through the night heading north on the I-5. We were now homeward bound. We arrived at the YWAM base in Salem Oregon at about 4pm and enjoyed some hot showers and a time of communion together. We also watched a little bit of Iron Man 3, but we all fell asleep. The final leg of the journey. 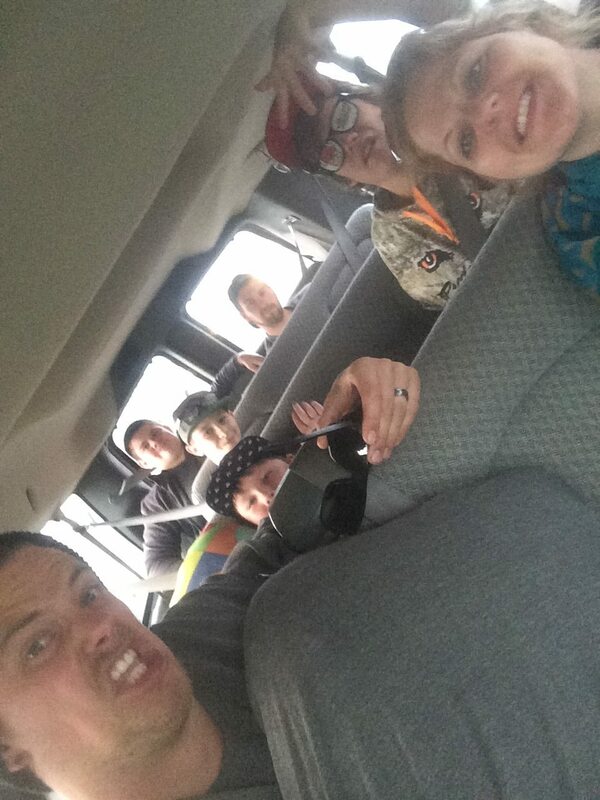 We loaded up and hit the road at a great time! But because there were a lot of weak bladders on board, we had lots of stops and enjoyed the slow ride home! The final border crossing was a breeze and 5,400 kilometres later, we arrived safely back at Sunridge! A trip well done! Thank you so much to everyone who supported us through generous donations, giving of your time and prayer! It was an amazing trip, we were blessed with smooth travels and challenged to love Jesus, love people and live mission! We love you SunRidge!